This isn’t a “My 5-year (actually it’s 6, but they forgot about it last year) high school reunion is in April” post. It’s not even a “Christmas is in 23 days” or a “I can’t believe it’s already December” kind of post. No, when I ask “Where has the time gone?” I mean, “It’s already midnight, and what do I have to show for my day?” Some nights I sit down with a list of things I would like to accomplish, and before I know it, 1 am is rolling around and there are only a couple things crossed off. I tried creating a detailed schedule for each day of the week, with “shower” and “dinner” blocked out in color-coded fashion. In spite of this effort, I find myself wondering what I’ve done with my evening and trying to decide if I feel like brushing my teeth before going to bed. Aside from brushing my teeth, I have a small list of things I would like to do during my day if I had made the time. Sew – Almost every time I go on Facebook (I seriously need to limit how much time I spend on that site…), I see an ad for ModCloth.com, the online indie/vintage clothing store. The first time I heard of ModCloth was almost a year ago, when a friend considered one of their dresses for us bridesmaids to wear in her wedding. I really love the pieces in their store – especially their dresses and tops (here’s my wishlist). The beauty is in the details – buttons, pleats, prints – and the color palette provides a wide range to suit changing moods and seasons. I would really love to add some of those dresses, shirts, and sweaters to my professional wardrobe and begin to wear something more stylish to the office every day. Working in the art field, I would like to wear something with a bit more flair and expression than my typical khakis-and-button-downs. However, I can’t quite afford ModCloth yet. Sale prices for dresses start at $24, and most pieces I have seen run in the $30s and $40s. Right now my budget is more in line with Goodwill and Salvation Army than ModCloth, but I would still like to achieve the look. “If I had the time,” I would like to buy my clothes at a thrift store and use my somewhat limited sewing skills to customize them in order to create the style I see at ModCloth. I find Marisa Lynch over at NewDressADay.com rather inspiring for this possible fashion endeavor! Perhaps I will start out small and see what in my closet can be modified with some hand-stitching and scissors. Design – You would think that as a graphic designer and a former art major (I graduated in 2009), I would constantly be creating. Instead, I sometimes have to push myself to start an independent project. Once I get started, though, there’s no stopping. I have redesigned my online portfolio several times, and one time within this past year I was up until 4 am working on it. As they say, time flies when you are having fun. It’s the getting started that is difficult. I tried doing a daily design series where I took a headline from the Newseum‘s Top 10 and created a typographical design. That lasted for about a month in May and a couple days in September. My goal would be to finish by midnight, a la On Kawara, but motivation to begin disappeared when I finally sat down at 10 pm to look at the day’s headlines. I tried taking a photo a day in 2009, but that didn’t last very long either. I soon realized that each day was shockingly similar to the day before, and I was running out of photo ideas. “If I had the time” – or the motivation or inspiration – I would do something creative every day, whether it was working on graphic design or photography. My current design goal is to hand-make Christmas cards, and with a quickly approaching deadline, I should get started soon. 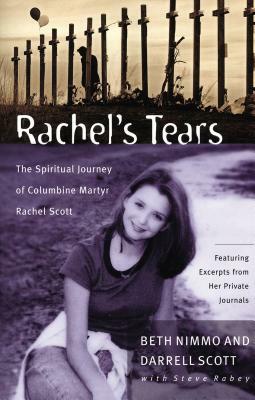 Journal – Rachel Scott was one of the Columbine Massacre victims. She left behind many journals filled with her thoughts, prayers, and drawings. I read Rachel’s Tears, a book by her parents, which included excerpts from and images of her journal. That inspired me to begin a journal of my own, so that if I died unexpectedly, I could have something to leave behind. I began writing in my journal somewhat seriously during junior high or high school, and since then my journal has evolved from a legacy for me to leave behind into a private arena for processing my thoughts and emotions. During college, my journals helped me make sense of my mother’s cancer diagnosis, upcoming graduation, and impending unemployment. The journals I have accumulated over 10 or so years are now in a sealed plastic container next to my sister’s sealed plastic container of journals in the attic. Recently, I haven’t had the motivation to write in my journal. It never seems like there is anything worth noting, or when there is, I am just too tired to sit and write. My last entry was November 10. Since then, I visited a recently quasi-laid off friend, attended a house warming luau, watched the Les Miserables 25th Anniversary Concert Movie, had a doctor’s appointment, visited my injured mother, flew to Florida and spent Thanksgiving with family (but without my parents). And for some reason, none of it seemed important enough to qualify a journal entry. Or maybe none of it seemed more important than going to sleep. “If I had the time,” I would journal every day, even when it seems like nothing important happened. Read – I used to be quite the avid reader. Nowadays, I rarely read. Summer 2009 was somewhat my return to the literary world, as I had a lot of downtime between work hours in Boston and spent it reading for pleasure. Over that month and a half, I read several short stories and novels. The following summer, I got partway through C.S. Lewis’ Mere Christianity, which I am still trying to finish. I really would like to start reading more, and I have plenty of unread books on my shelf to help with that. Like design, I lose motivation to read, because by the time I get around to start, it is already time for bed. And I’m rather sleepy. So “If I had more time,” I would something every night before going to bed, and I would finally finish this book! Exercise – When I was only working part-time from 9 am to 3:30 pm Monday through Friday, I had the opportunity to go to a local women’s fitness center every day after work. I took 2 Zumba classes each week, lifted weights, took a core-strengthening class, and did some cardio work. I even got a personal training session on a Pilates reformer, which my body regretted the next day. As the months went by, I went to the fitness center (they don’t call themselves a gym) less and less until I finally cancelled my membership this past summer. I liked working out, pushing myself to just a little more than last time, feeling myself getting stronger. Now I feel myself getting lazier. A recent glance at 2007 medical records showed me how much weight I have gained over the past few years (especially since starting a desk job a little over a year ago). A few weeks ago, just before it started getting colder, I started walking around the neighborhood on Saturday morning and Sunday afternoon. It is a 1.6-mile loop around the town-homes and houses outside of my apartment complex, and the walk was brisk and refreshing. I would walk every day, but now that winter has arrived, the sun has completely set when I leave work. And honestly, walking in the morning would require me to wake up earlier than I would like. In addition to my 2 hours of dance class each week, I would like to incorporate more physical activity into my schedule – “if I had the time” – so that I can maintain physical fitness and get back that feeling of being healthy. Devotions – I definitely don’t MAKE enough time for devotions. I’ve realized that when it comes to spending time with God, it’s not a matter of having time but of making time. I could easily use the hours spent each day on Facebook for reading the Bible or in prayer, but I don’t. I could easily attend a small group meeting during some of the 7+ hours normally dedicated to television, but I don’t. Becoming a part of a small group through my local church is something I am hoping to do soon. I need that source of accountability and people who are going to encourage me continually to grow in my faith – something that, honestly, I have not been doing. I need to reevaluate how I am using my time, figure out what is wasting my time, and decide what changes need to be made in order to make time for God and the little things I want to be a part of my day.